SALINAS, CA - Church Brothers Farms is adding some additional Salinas expertise to its repertoire before 2018 is up. 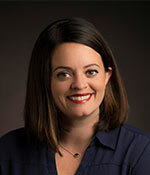 The company’s new Marketing and Media Specialist is Mary (Langford) Poma, who will report to Kori Tuggle, Vice President of Marketing and Product Development. Poma has worked in the produce industry for the past six years, gaining experience from roles at other Salinas Valley produce companies including Dole Fresh Vegetables and Ocean Mist Farms. At her prior roles, she developed expertise in digital marketing, brand development, and campaign management, according to a press release. Poma earned a bachelor’s of arts degree with a major in human communication from California State University Monterey Bay and lives in Seaside with her husband. Here’s to Mary Poma on this next step in her career! And for more on the latest big moves in the produce industry, AndNowUKnow will keep you covered.